A mixed day for the champions. Hamilton called his car “unhappy” as he ran wide and struggled for pace. But Bottas pushed Red Bull close in FP1 and went fastest in second practice, showing his skill around Yas Marina once again. 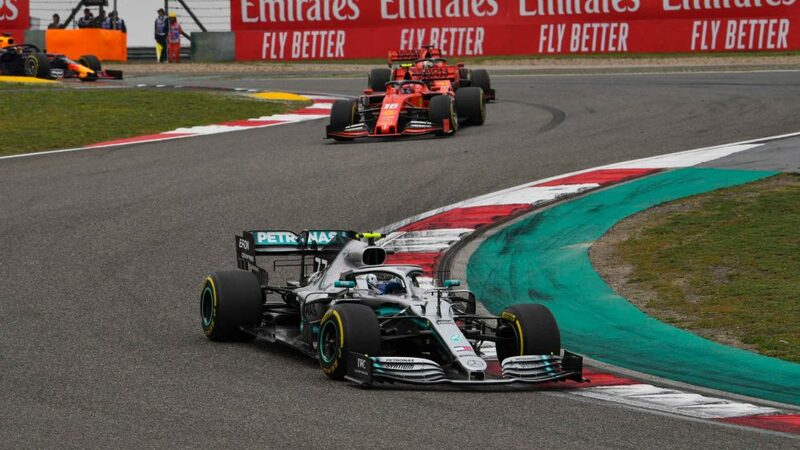 Even better news was that the Silver Arrows were kinder to their tyres on long runs than they've tended to be of late, meaning they are well set up ahead of the weekend. "Overall, it's been a good day; even though the first session was not great. The track was very green in the beginning, so there was a lot of sliding around and - just like everyone else - we were struggling with the tyres. There's a big difference in track temperature between the two sessions; the conditions in FP2 are much more representative of qualifying and the race, so in that respect FP1 and FP3 don't really tell you a whole lot. We made some really good changes over the break and I was much happier with the car in FP2, but there's still a lot of work to do. Red Bull looked quick today, they're usually fast in practice and in the race, so I have no doubts it will be the same this weekend." "FP2 was really good, the car felt like I could trust it and drive it the way I want. FP1 was less good, but I think that's pretty usual here. The track is very green when we first go out and it's much hotter during the day than it is in the evening session. So I'm glad we got the car to work well in the evening session as it is very difficult to try out set-up changes in FP3 because it is so hot. We definitely learned a lot from the runs we did today, especially in the evening, and there are plenty of things we can adjust overnight to find a good set-up for qualifying and the race. It's nice to be on top of the timesheets, but we now need to build on that, we need to try and make the right set-up changes and I also need to find more performance from myself. My goal for the weekend is to repeat last year's result, but there's still plenty of work to do." "We had a lot of 2019 test and development items on both cars in FP1 so that was a very busy session although we were still able to do a reasonable amount of the normal race preparation. We also ran through a number of checks on Lewis's power unit and so far it all looks normal which is good news. You always struggle a bit more with overheating in FP1 but other than that, the car seemed to be working ok. In FP2 we had a more normal programme, the car seemed a bit more competitive, especially on a long run and it feels like we've got a decent platform to work with. It's nice coming here and not having to worry about the championships but the team and both drivers are wanting to finish the season in style, so we'll be attacking the weekend with our normal focus and determination. This is a race where qualifying is very important and from the times today, it looks like it's going to be quite tight between Ferrari, Red Bull and us. We've definitely not got everything out of the package today so we will work hard overnight as we'll need every last bit if we want to get the cars on the front row for the race on Sunday." Lewis Hamilton, Mercedes-AMG F1 W09 EQ Power+ at Formula One World Championship, Rd21, Abu Dhabi Grand Prix, Practice, Yas Marina Circuit, Abu Dhabi, UAE, Friday 23 November 2018. Valtteri Bottas, Mercedes-AMG F1 W09 EQ Power+ at Formula One World Championship, Rd21, Abu Dhabi Grand Prix, Practice, Yas Marina Circuit, Abu Dhabi, UAE, Friday 23 November 2018. Ferrari returned to their early season form of not showing their true hand on Fridays. 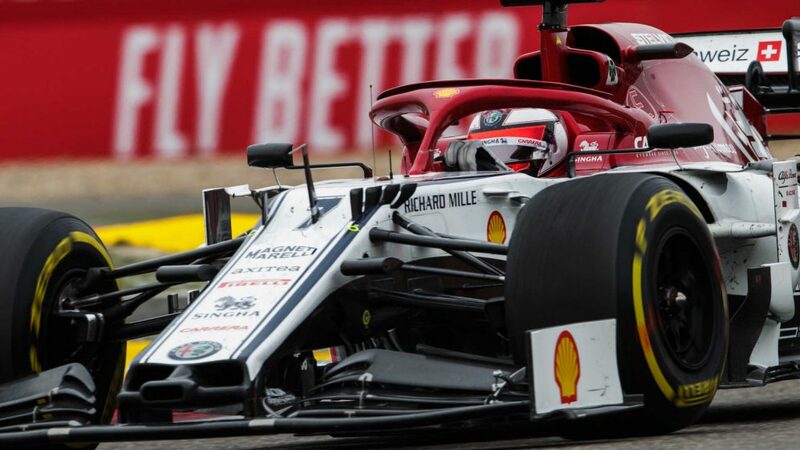 The Scuderia spent much of FP1 gathering data for next season and then ran their hypersoft qualifying simulations earlier than their rivals in FP2, when the track had yet to evolve. It will be interesting to see if they can turn the wick up tomorrow and get on the pace of their rivals. “I think today has been ok; obviously we are not quick enough yet, but we did improve between the two sessions, track conditions came towards us and hopefully tomorrow we will be better placed and we’ll try to do our best. I think on Sunday a lot will depend on the tyres. We tried to work a bit on the car today and we still have some margin in terms of performance, but we need to find another extra bit of pace. However, I think we should be able to improve for the race. I was surprised by the fact that the tyres allow you a second attempt on a fast lap today. This is the last race of the season and I remain focused on this year. There’s still a few months to the beginning of a new championship, so I think we can still learn something from the car we have now”. Sebastian Vettel, Ferrari SF71H at Formula One World Championship, Rd21, Abu Dhabi Grand Prix, Practice, Yas Marina Circuit, Abu Dhabi, UAE, Friday 23 November 2018. Kimi Raikkonen, Ferrari SF71H at Formula One World Championship, Rd21, Abu Dhabi Grand Prix, Practice, Yas Marina Circuit, Abu Dhabi, UAE, Friday 23 November 2018. A good day for the Bulls. Having said that they didn't expect to be too sharp here, in many ways they looked the pick of the bunch. 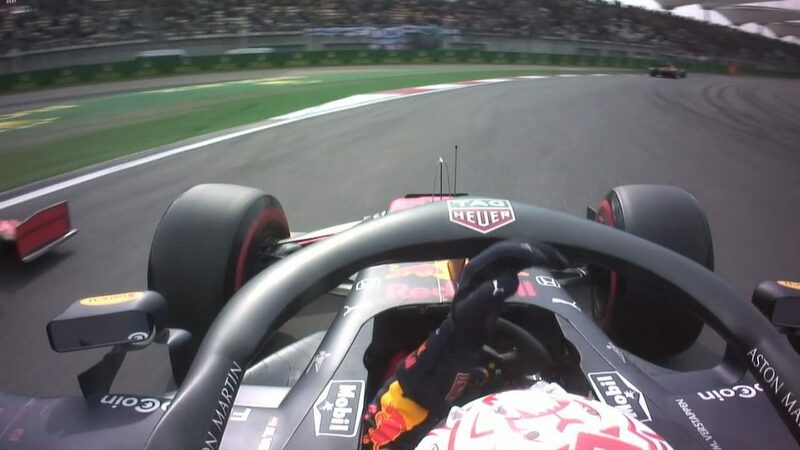 Kind to their tyres on long runs, the Bulls also proved quick on qualifying simulations, with Verstappen shading his team mate in both sessions. Daniel Ricciardo, Red Bull Racing RB14 at Formula One World Championship, Rd21, Abu Dhabi Grand Prix, Practice, Yas Marina Circuit, Abu Dhabi, UAE, Friday 23 November 2018. Ocon looked on top form, finishing in the top 10 in both sessions as he looked to put Brazil’s controversial incident behind him. 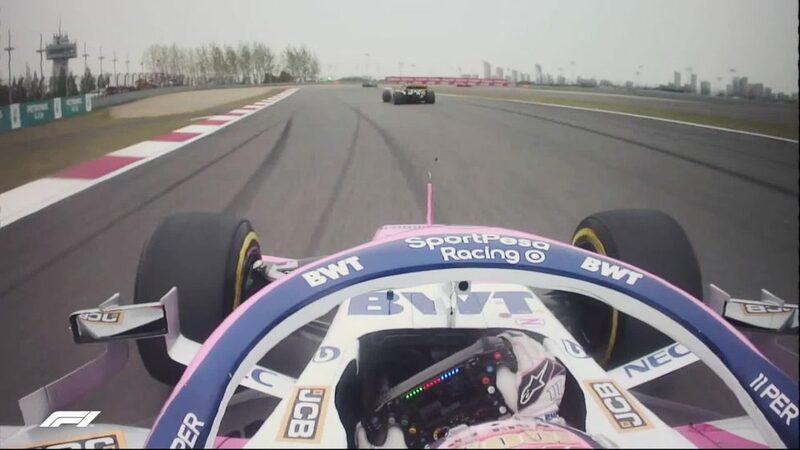 Perez was uncharacteristically off the pace of his team mate, although he did raise a few eyebrows after nearly tangling with Verstappen in the pits after being released into his path. Sergio Perez, Racing Point Force India VJM11 at Formula One World Championship, Rd21, Abu Dhabi Grand Prix, Practice, Yas Marina Circuit, Abu Dhabi, UAE, Friday 23 November 2018. 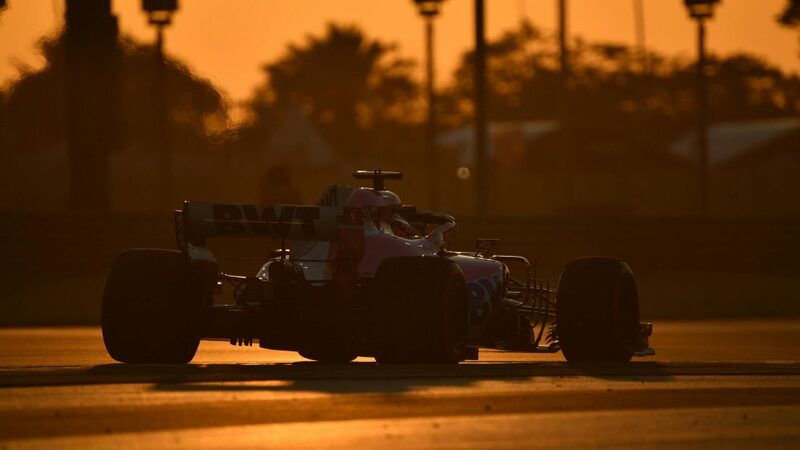 Esteban Ocon, Racing Point Force India VJM11 at Formula One World Championship, Rd21, Abu Dhabi Grand Prix, Practice, Yas Marina Circuit, Abu Dhabi, UAE, Friday 23 November 2018. 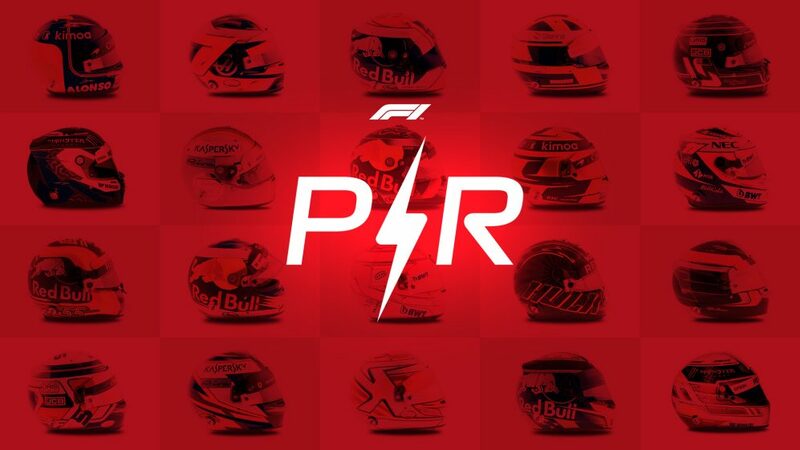 Both Hulkenberg and Sainz had moments – Hulkenberg locking up and running wide in FP2, while Sainz half spun in first practice but fortunately kept his car mostly in one piece. Having focussed on long run pace on the ultrasoft rubber in FP1, the team looked reassuringly quick in FP2 which shows a change of fortunes after lacking one-lap pace in recent months. Nico Hulkenberg, Renault Sport F1 Team R.S. 18 at Formula One World Championship, Rd21, Abu Dhabi Grand Prix, Practice, Yas Marina Circuit, Abu Dhabi, UAE, Friday 23 November 2018. Carlos Sainz, Renault Sport F1 Team R.S. 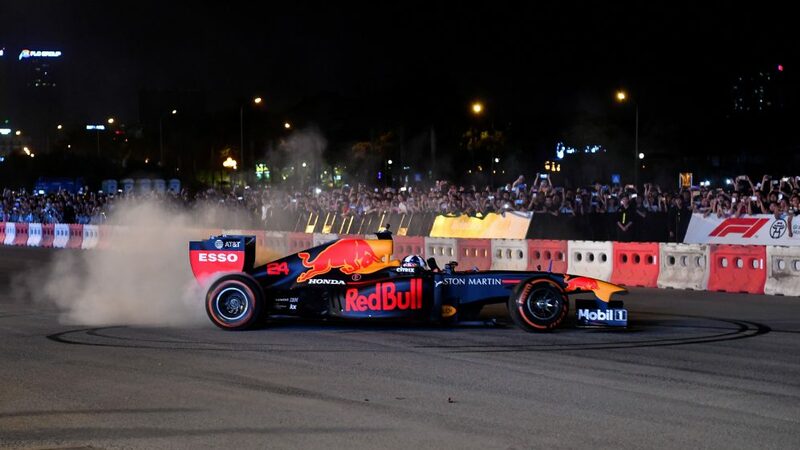 18 sparks at Formula One World Championship, Rd21, Abu Dhabi Grand Prix, Practice, Yas Marina Circuit, Abu Dhabi, UAE, Friday 23 November 2018. Grosjean complained about “light” steering and hit traffic but still managed to be ‘best of the rest’ in FP2, putting in some impressive long runs to boot. Magnussen backed his team mate up admirably, in what could be a strong weekend for Haas. They might have kissed goodbye to P4 in the constructors’, but look to be finishing the season on a high. Romain Grosjean, Haas F1 Team VF-18 at Formula One World Championship, Rd21, Abu Dhabi Grand Prix, Practice, Yas Marina Circuit, Abu Dhabi, UAE, Friday 23 November 2018. Kevin Magnussen, Haas F1 Team VF-18 at Formula One World Championship, Rd21, Abu Dhabi Grand Prix, Practice, Yas Marina Circuit, Abu Dhabi, UAE, Friday 23 November 2018. The last race weekend at McLaren for both drivers – for now – but it didn’t get off to a flying start. Alonso had one big moment in FP2, running straight on at Turn 20 before he settled down and put in a few decent laps to wind up solidly in the midfield. Vandoorne though spent most of FP2 in the pits and failed to set a representative time on the hypersofts as a result. “In such hot conditions FP1 wasn’t very representative, so it gave us a little time to experiment with some stuff for next year’s concept in terms of car development. In FP2 we concentrated more on this weekend, testing two types of tyres and got some useful information. We’ll be more ready for tomorrow and we’ll see where we are. “If the track is going to be that hot again tomorrow for FP3, we’ll do some more tests for next year, and hopefully gather some good information for the team. “It wasn’t a great final Friday for me! We had quite a few problems to go through and lost a lot of time in FP2 in the garage, so I didn’t really get a feel for the high-fuel running. “It wasn’t the optimal day, but I hope tomorrow we can put all the bits together and have a clean day, which would be nice to finish off with. “I’ve had a pretty good run of races over the past few weeks, so hopefully if we manage to put everything together we can do that again. It looks like the tyres are a little bit tricky again, so there’s going to be a bit of a question mark for me going into the race, but I’m here to enjoy it, have fun and make the best of it. “We have mixed feelings about today. “Unfortunately, we had a small issue on Stoffel’s car in FP2, which curtailed his run-plan. On Fernando’s side of the garage, we had a trouble-free day and made consistent progress from free practice one to the end of the day. Fernando Alonso, McLaren MCL33 at Formula One World Championship, Rd21, Abu Dhabi Grand Prix, Practice, Yas Marina Circuit, Abu Dhabi, UAE, Friday 23 November 2018. Stoffel Vandoorne, McLaren MCL33 at Formula One World Championship, Rd21, Abu Dhabi Grand Prix, Practice, Yas Marina Circuit, Abu Dhabi, UAE, Friday 23 November 2018. Ericsson ran wide in FP1, hit the artificial grass and kept his foot in. The result was a half slide across the track into the barriers and a new front wing for his troubles. Giovinazzi was his sidekick in FP1 and had a quiet session, before handing the car back to Leclerc for the evening. 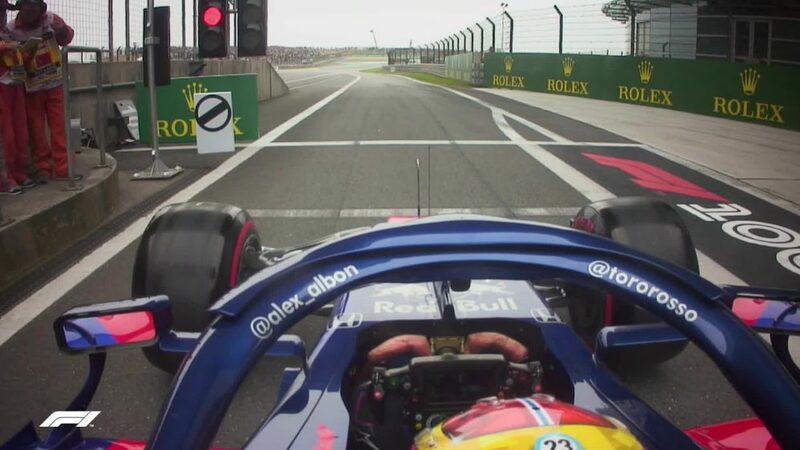 The youngster looked keen to get into the action – rather too keen, as he ran wide and rejoined the track via the sausage kerb at full tilt, and was fortunate not to damage his C37 in his eagerness. Charles Leclerc, Alfa Romeo Sauber F1 Team and Frederic Vasseur, Alfa Romeo Sauber F1 Team, Team Principal on the pit wall gantry in FP1 at Formula One World Championship, Rd21, Abu Dhabi Grand Prix, Practice, Yas Marina Circuit, Abu Dhabi, UAE, Friday 23 November 2018. Marcus Ericsson, Alfa Romeo Sauber C37 with broken front wing in FP1 at Formula One World Championship, Rd21, Abu Dhabi Grand Prix, Practice, Yas Marina Circuit, Abu Dhabi, UAE, Friday 23 November 2018. Antonio Giovinazzi, Alfa Romeo Sauber C37 at Formula One World Championship, Rd21, Abu Dhabi Grand Prix, Practice, Yas Marina Circuit, Abu Dhabi, UAE, Friday 23 November 2018. Gasly looked competent once more, finishing P11 in both sessions, which wouldn’t be a bad result come qualifying. His car did overheat and catch alight in FP1, fortunately nice and close to the mechanics who could deal with the situation swiftly. Hartley struggled to nail down a perfect lap, complaining about cooling tyres. But with plenty of laps under his belt, he should feel more confident around Yas Marina tomorrow. “After the last event, where we qualified well and our race pace wasn’t as expected, we put in a lot of effort into understanding our delta pace between short and long runs. The majority of the work today was to understand that further, based on the analysis from last week in order to gear the car up for race pace, but at the same time not compromise the short run pace. "We were quite aggressive with our tyre choice here and we’ve predominately run on hypersofts, with both cars running two hypersofts in FP1. Brendon had a fairly productive session where we confirmed much of our analysis. Unfortunately for Pierre, he had an issue with the gearbox on his final run. We understood what the problem was, but to ensure there was no risk in FP2 we elected to change the gearbox. "FP2 is probably one of the most important sessions of the weekend because it’s the only session prior to qualifying and the race where track conditions are relevant. The focus was then on trying to optimise the car over the short run but with the car setup for a high fuel run. The car is working well for Pierre, but Brendon didn’t quite get the lap together, so there’s definitely more to come from his side of the garage. The competitiveness over the short run is looking where we expect, and over the long runs I think it’s fair to say that it’s improved compared to recent events. We still need to complete a more detailed analysis tonight to make sure that is the case. Brendon Hartley, Toro Rosso STR13 at Formula One World Championship, Rd21, Abu Dhabi Grand Prix, Practice, Yas Marina Circuit, Abu Dhabi, UAE, Friday 23 November 2018. Pierre Gasly, Scuderia Toro Rosso at Formula One World Championship, Rd21, Abu Dhabi Grand Prix, Practice, Yas Marina Circuit, Abu Dhabi, UAE, Friday 23 November 2018. 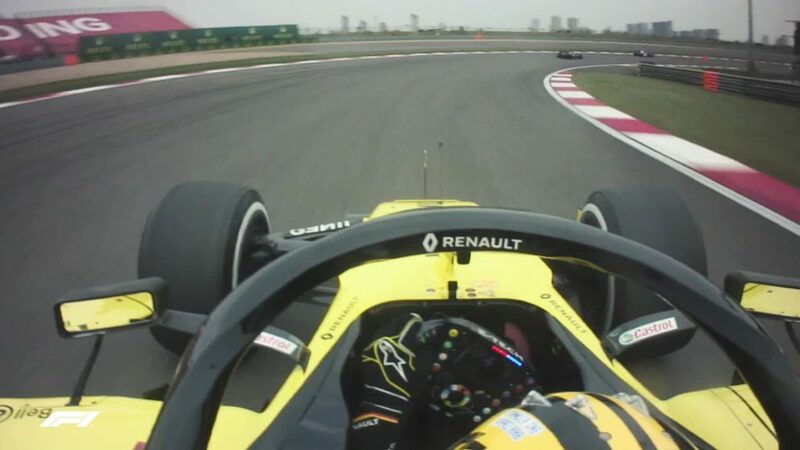 Kubica took over Sirotkin’s cockpit in FP1, collecting data for use in 2019. Come FP2, the Russian had his car back but failed to find any form and propped up the leaderboard. Stroll didn’t fare much better in P19, which rather sums up Williams’ season. "We completed a productive FP1. The programme was orientated at evaluating next year and we collected some valuable data during the session. It was not easy as I hadn’t driven the car for nearly four months but from a test point of view it was good. I am looking forward to Tuesday and Wednesday as it’ll be an important test for everybody. It will be nice to be back in the car and working towards the goal of Australia." "It was a tough session, probably the most difficult FP2 in the season. 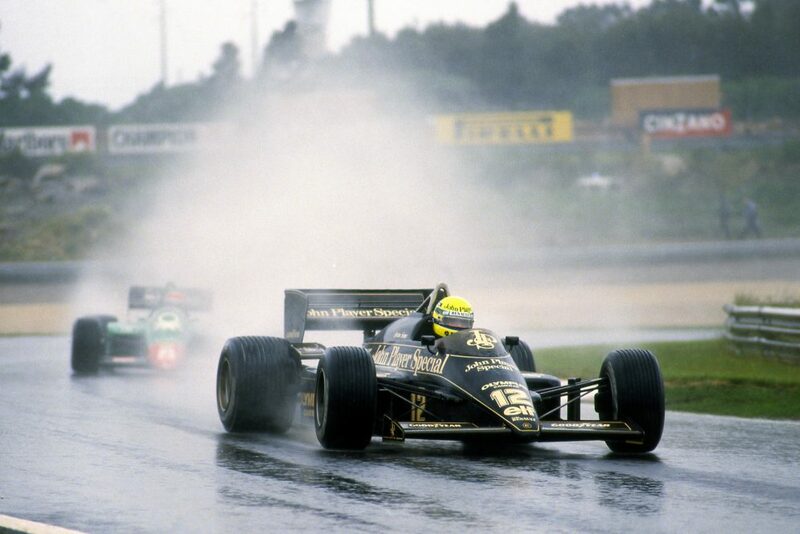 It is a demanding track for the tyre and it’s difficult to put the car balance all together throughout the lap. We must analyse the data tonight, so we have a lot of work to do. Tomorrow is a new day, it’s the last race and I am looking forward to it." "We have nothing too different this weekend and we are still more or less in the same positions. We will see what tomorrow brings and we will try and break it down tonight and look for some more lap time. I don't want to come to conclusions today, as tomorrow is a new day, anything is possible in qualifying and maybe there will be a surprise or two. 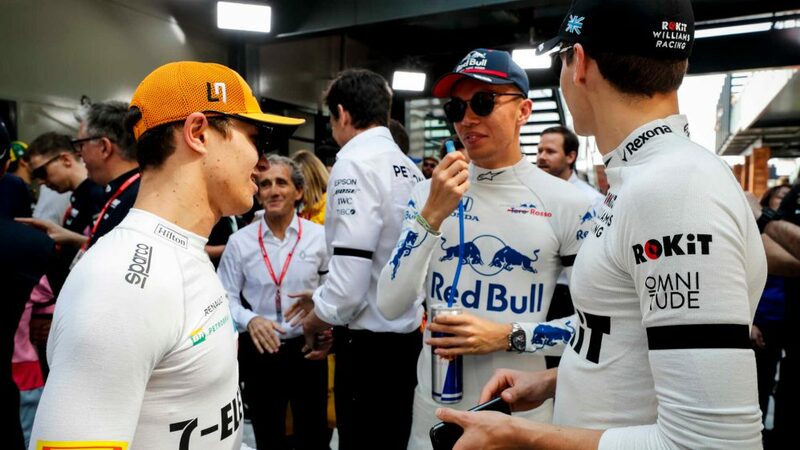 It is great to be here in Abu Dhabi, I enjoy the track, which is unique, the infrastructure is great, it is a great destination to wrap up the season and it is certainly a party scene." "It’s great to be back in Abu Dhabi and to be reaching the end of a very long season. Practice in Abu Dhabi is tricky because FP1 is in very hot, sunny conditions at 1pm whereas FP2 in the evening is far more representative of qualifying and the race. As usual, we did a lot of experimental work in FP1 with both Robert and Lance. Robert was in the car for his third FP1 of the season, which was planned from the outset, but is clearly beneficial given his confirmed drive for next year. Our performance in FP1 was unfortunately better than it ended up in FP2, which is the one that matters more. We have a lot of homework to do tonight to understand that issue and to be stronger for qualifying tomorrow." Lance Stroll, Williams FW41 at Formula One World Championship, Rd21, Abu Dhabi Grand Prix, Practice, Yas Marina Circuit, Abu Dhabi, UAE, Friday 23 November 2018. Sergey Sirotkin, Williams Racing during FP1 at Formula One World Championship, Rd21, Abu Dhabi Grand Prix, Practice, Yas Marina Circuit, Abu Dhabi, UAE, Friday 23 November 2018. Robert Kubica, Williams FW41 at Formula One World Championship, Rd21, Abu Dhabi Grand Prix, Practice, Yas Marina Circuit, Abu Dhabi, UAE, Friday 23 November 2018.